Quality exterior lighting fixtures are a great addition to a traditional house. Not only do they serve a practical function, but they are also a stylish complement. A key element of the initial image of a home, it is important that the fixtures are appropriately styled and sized relative to the building. 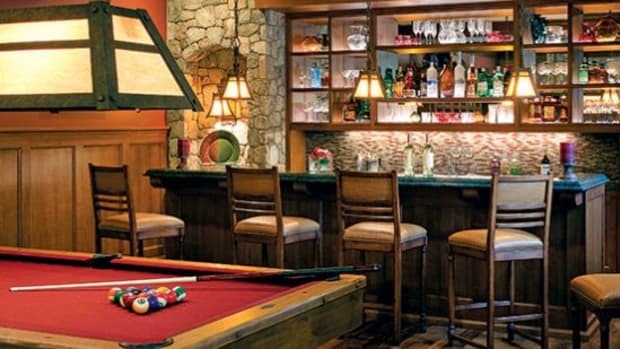 Among the lighting companies that provide a wide range of fixtures in a variety of styles are Orange, CA-based Old California Lantern Company, Exton, PA-based Ball & Ball Lighting and Hazlehurst, MS-based Faubourg Lighting. 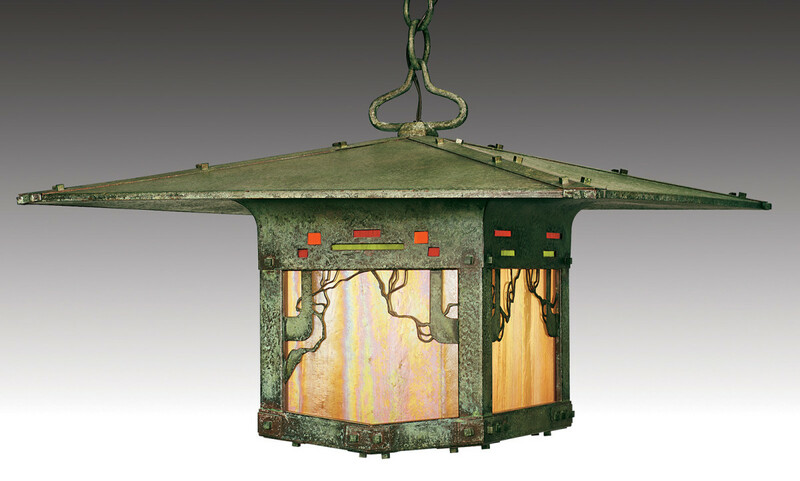 Old California Lantern Company manufactures both interior and exterior Arts & Crafts-period lighting fixtures. Owner Tom Richard has spent his entire career in the lighting profession and started the company in 1989. 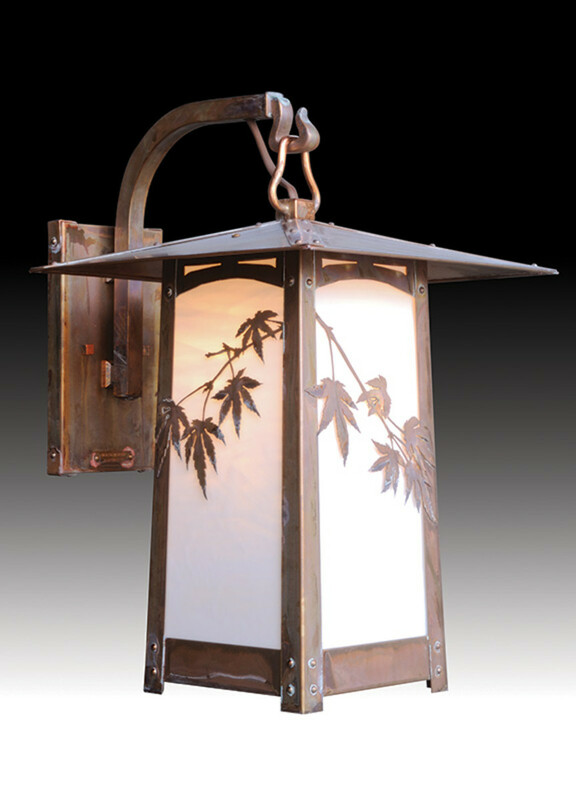 Initially creating custom pieces for commercial buildings, Old California Lantern has since expanded its collection and works primarily in the residential field. 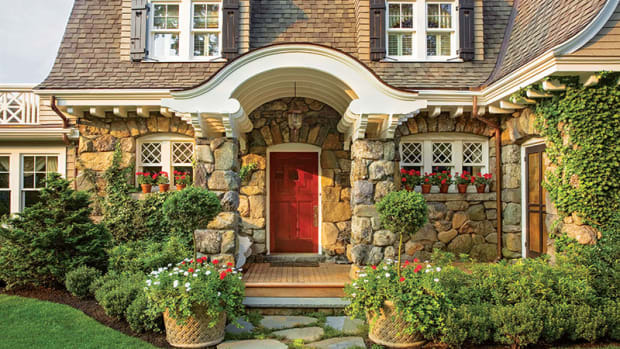 The Ultimate Bungalow line features reproduction Greene and Greene fixtures, which are a version of the Arts & Crafts style designed by the renowned architects. “We have designs that were originally made for the Gamble, Blacker and Thorsen houses, among others,” says Richard. The Greene and Greene lighting reflects the firm’s architecture, which features large, low, overhanging roofs, pagodas and other Asian influences. Garden Lights, a fourth collection of exterior lighting introduced in August 2009, incorporates fixtures from the Bungalow line. It is unique in that the fixtures are made specifically for path illumination, so they are reduced in size and offered in 12 volts. Spot and flood lights are also available. Not only can orders be placed for fixtures from Old California Lantern’s standard lines, but the company also specializes in custom work. “Often, customers choose a fixture from one of our stock lines, but need it to be scaled differently or want one or more of its elements modified,” says Richard. 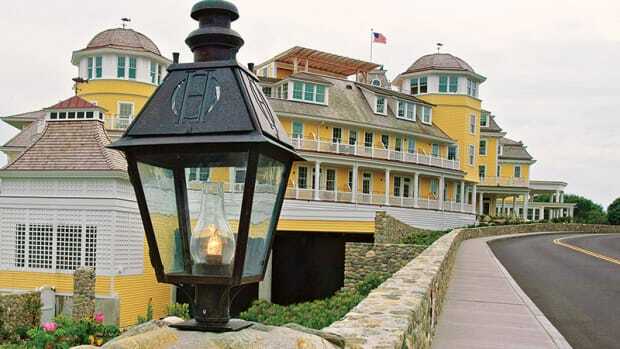 “We will happily help them with that kind of project.” Another request for custom fixtures is from customers – usually architects – who have designed a lighting fixture in an Arts & Crafts style and need it fabricated. In some cases, with the designer’s permission, the company incorporates the fixture into its product line. The company manufactures all of its lighting in its factory. Recently, it has started to produce more energy efficient fixtures, which is accomplished by building a compact fluorescent system into old lanterns. Another family-run company, Ball & Ball Lighting was founded in 1932. With a broad product line that includes furniture hardware and door hardware, the company began producing lighting in the 1950s. Today, it is one of the company’s largest product lines. “Like our other products, the lighting is reproduction 18th-century and turn-of-the-century American Revival period,” says Bill Ball, co-partner of Ball & Ball. Ball & Ball manufactures both standard and custom electric lighting for interior and exterior applications. The latter types include wall sconces and post- and wall-mounted lanterns in brass, bronze, tin, copper, aluminum and iron. The interior assembly is made in brass and stainless steel for durability. There is no limit to finishes, though most customers opt for Ball & Ball’s standard non-lacquered metal finishes, which will tarnish for an historical appearance. The company has a design library with more than 1,500 antique fixture shop drawings and artwork that date from 1880 to 1950, and serve as the basis for Ball & Ball’s American Revival collection. The company also owns a collection of antique fixtures, from which it takes its fabrication techniques. It will manufacture a light from an old catalog, photograph or drawing, but prefers to work with a three-dimensional object. “This is because we can see all of the elements as well as the construction technique, which means that we can reproduce that too,” says Ball. All fixtures can be duplicated in their original sizes, but can also be produced in several other sizes and mounting configurations. 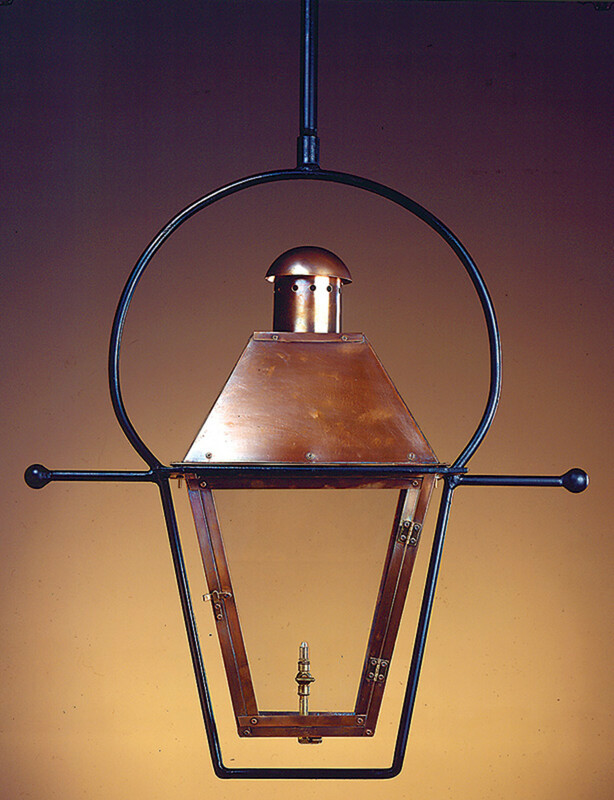 Faubourg Lighting, which was founded in 1978, manufactures handmade gas and electric lighting in copper. Its wall sconces, porch lighting and lanterns are largely influenced by traditional New Orleans’ gas fixtures. Other standard styles include Colonial, Federal and Italianate. In addition to its standard line, Faubourg Lighting also creates custom fixtures. Working from the catalog collection, customers can choose a base style and mix and match different finials, brackets, mounts and finishes. Similarly, fixtures are available in sizes from 14 to 36 in., but the company will create unique sizes upon request. 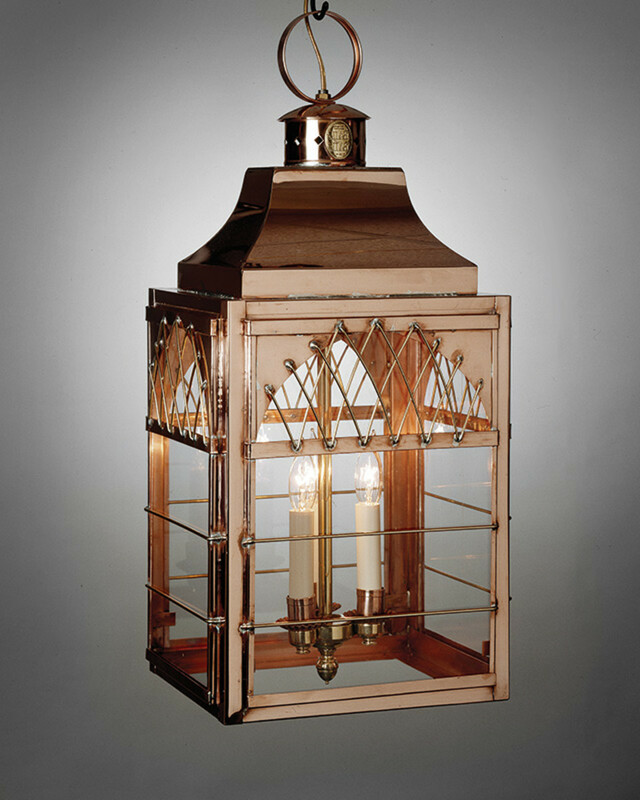 Though Faubourg Lighting specializes in gas lighting, fixtures can be either gas or electric. Both the gas and electric lights are UL certified and the gas fixtures bear certified CSA labels. 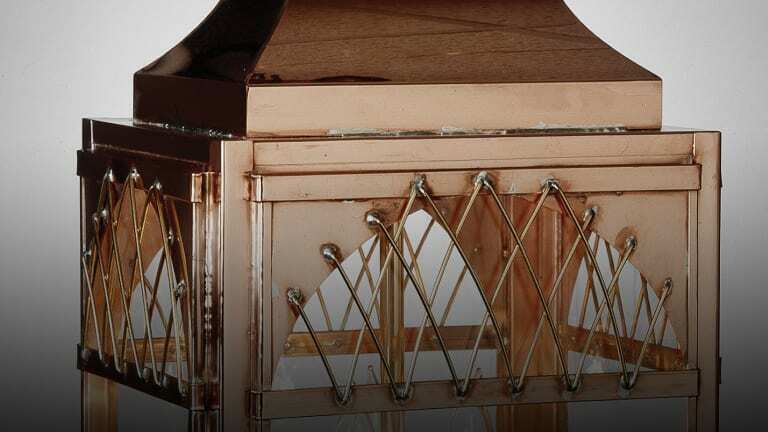 While the fixtures are copper, the components are copper or brass. Faubourg offers four finishes, although many customers choose raw copper for its natural patina. Hadiya Strasberg is an M.Arch. candidate at Massachusetts College of Art & Design and a contributor to Period Homes and Traditional Building.